Note: The following article is an excerpt from my upcoming book, Martial Art School Business Growth Strategies. Okay, so now let’s look at some different martial art school business models, so we can have an idea of the various different ways that a dojo or martial arts instruction business can be run profitably. The reason why we want to look at the different martial arts instruction business models is so we can decide what our goal is in starting and running our business. “Know your goal,” right? I should make it clear before I get into this info that the business principles in the Small Dojo Big Profits system are universal, and can be applied to any of the following business models. However, some of these business models may violate one or more of the SDBP goals by the nature of the way they operate. For example, a high-volume business model might require much higher overhead and expenses than I would be comfortable seeing a client take on in their business. But, ethically there’s nothing wrong with running your business that way. And, there are school owners who do quite well following high volume business models. It’s just not the business model I would recommend that a client start with, because it requires a skill-set that few new business owners possess (I’ll speak more on the pros and cons of each business model below). In short, not every business model is right for every person. I prefer low-risk, less work, and higher profit margins. Still, my goals may not be your goals, so you should know your strengths and weaknesses, as well as the lifestyle you desire, and set your goals accordingly. Note: Knowing your goal means knowing what kind of school you want to run, and it also requires knowing what kind of lifestyle you want to have once your dojo is up and running. Do you want to spend a lot of time on the floor, or would you rather be more of a business manager? Do you want to have a lot of time off with less stress, or does the idea of working longer hours running a large organization with multiple locations float your boat? There’s no one right answer here, and you must decide on your own where you want to be five years down the road. The good news is that you can start with the Small Dojo Big Profits business model, and use that as a springboard to growing a larger business later, if you so choose. My only advice to you is to start small and start with as little risk and debt as possible. I suggest that you read Small Dojo Big Profits for more on this, especially if you’re just starting out. This is the business model that you commonly see in most part-time clubs around the world. And, it’s how most martial arts instructors get started in business. In this business model, the instructor secures the use of a part-time location a few hours a week, be it a rec center multi-purpose room, a church hall, or the group classroom in a local gym. Typically they’ll split their gross income with the host facility, and run their business part-time teaching a few nights a week. This method can be scaled up in a single location, if you have enough space, a good relationship with the host facility, and you develop good marketing skills to grow your classes. Check out the podcast interview I did with Christopher Folmar on the Martial Arts Business Daily blog for one example of how this might be done. Pros: Low overhead, minimal financial risk. Cons: Little to no say in scheduling. High risk of losing your location if the host facility needs the space for another program. Greedy host facility managers who decide they’d rather run the program themselves and keep all the money. In this business model, the instructor teaches several part-time classes in multiple locations. Typically, this requires hiring other instructors to teach for you, or “growing your own” instructors from the pool of students you develop. I’ve seen this business model work well for a few savvy instructors, but the chief challenge with this approach is finding and keeping part-time instructors to staff multiple locations. You can’t be everywhere at once, and as you expand in this business model you’ll soon have classes running in more than one location in the same time slot. 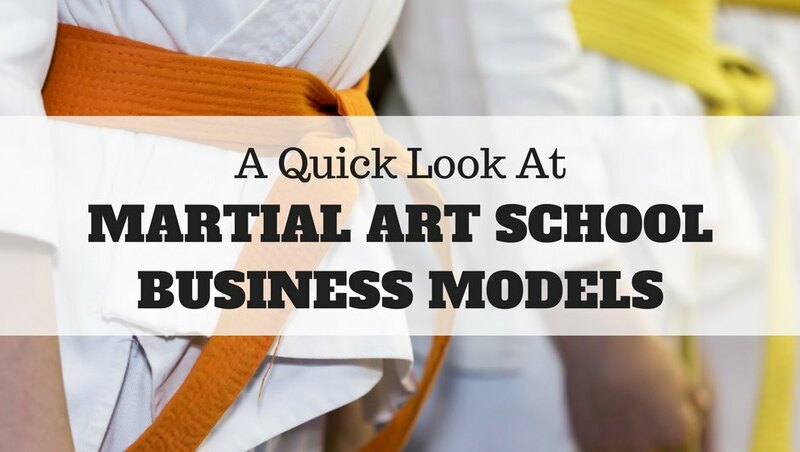 And, the temptation with this business model is to create a system of instruction that promotes quickly, so the business owner can train people to black belt quickly. That way they can expand their class locations quickly and always have new potential employees to hire. Obviously, this means lowering overall program quality and standards, which is not in keeping with the SDBP approach. Pros: Low overhead, little financial risk. Cons: Staffing, finding and keeping new locations for expansion, negotiating contracts for facility usage, temptation to lower program quality to facilitate rapid expansion. This is a tried and true, somewhat venerated approach to running a small footprint martial art school that turns a decent profit. In this business model, you rent a small space, maybe even as small as 800 square feet. So how do you make a dojo work in a space that small? By focusing your services on offering private lessons. The way this typically works is the school owner charges two or three times the going rate per month for tuition, and students get a certain number of private lessons each week in addition to the privilege of attending group classes. So, the school owner can turn a decent profit with fewer students in a small footprint location. The downside to this is obviously the amount of time involved in teaching all those private lessons. When a school owner running this business model gets to 80 students (which will likely be capacity for an operation of this nature), and they are teaching each student one or two half-hour private lessons a week, that time commitment adds up quick. Teaching 40 hours of private lessons a week doesn’t seem so bad when you consider that your itty-bitty school is bringing in $25k a month gross. However, consider that you also have to do all the other work involved in running a dojo. Admin work, even in a small dojo, is going to require at least 20-30 hours a week. So, you’re looking at hiring a full-time office assistant, or working some seriously long hours. The other major drawback is that you have to locate your dojo in an affluent area. The type of client you’re targeting has to have a lot of extra money in their discretionary spending budget. When you’re charging three times what other schools charge, the only people who can afford your services will be affluent clients. Another drawback is space. What happens when everyone wants to show up for group class? Yep, you’re screwed. Pros: Less overhead, higher profit margins when set up properly. Cons: Long hours. Teaching all those lessons is a grind. Also, has to be located in an affluent area where there are a significant number of people who can pay a premium rate for tuition, otherwise it won’t work. Space requirements for group classes can be a challenge. The small group business model works similarly to the private lesson business model I just discussed. However, in this business model the instructor charges a premium rate but teaches up to four students at once. So, they can market their services as “small group, private” and charge a premium rate, but work fewer hours. I’ve seen instructors do this in part-time locations, offering limited-enrollment small group classes to an affluent clientele. However, being in a part-time location comes with all the risks inherent to teaching in any part-time location. Lose your location over a contract dispute or because the host facility crashes and burns, and your whole business is sunk. Pros: Low-risk, low overhead, high profit when done properly. Work fewer hours. Cons: Constant threat of facility loss, need for affluent clients. In this business model, the instructor focuses on attracting an affluent clientele, charging a premium for their services by offering small group private classes. And, rather than accepting the risk of facility loss inherent in teaching out of a part-time location, they run their business in a small footprint studio space, perhaps even as small as 500 or 600 square feet. The benefits of this are obvious; low overhead, high profit, with fewer students and fewer hours worked. The drawbacks are a need for an affluent clientele who can afford premium tuition rates, and the need for some very good marketing skills to position your services appropriately, to attract a high-income clientele. Note: Rodney King wrote a book on this business model called The Martial Arts Game that you can find on Amazon. It’s not incredibly detailed, but it does explain how he did it. Pros: Low overhead, lower financial risk, requires fewer clients and fewer hours worked. Cons: Need for an affluent clientele, requires a polished brand and image and excellent marketing skills to position the business and attract those affluent clients. In this business model, the school owner focuses on teaching a high volume of students, 300 or more in a single location. There is no reason why a school owner can’t do well with this business model, except that the challenges are much greater and the risks are much higher than when running a smaller operation. I cover the pros and cons of this approach extensively in Small Dojo Big Profits, so I’ll only cover them in brief here. Pros: High gross profit (but not necessarily high net profit), delegation of teaching and other responsibilities to staff members (after school has grown sufficiently to merit hiring staff). Cons: High overhead (rent, payroll, and other expenses which scale up the larger your school grows), which often eats into profit margins. Necessity for business and human resources management skills that most new school owners do not possess. High financial risk. Potential for accumulating large amounts of debt. Staff acquisition, training, and retention challenges. Potentially long work hours, and also typically lower profits when the business is not managed properly. Also, the larger the student enrollment becomes, the more difficult it is to maintain program quality. This is the same business model as the single-location high volume approach, simply duplicated in multiple locations. The same pros and cons apply, merely scaled up and multiplied. Again, there’s nothing that says a school owner can’t be successful by pursuing this approach. However, the challenges are much greater. So, I would suggest that if this is your end goal, you should learn to start, grow, and manage a single location successfully before you dip your foot in the multiple location waters. This is the classic Small Dojo Big Profits school. In this business model, the school owner focuses on teaching group classes in a small footprint location (as small as 1,000 and as large as 3,000 sq. ft. based on overhead costs and other considerations). The advantages of this approach are many. For one, lower financial risk and lower overhead, with higher profit margins. Another benefit is that the school owner can teach fewer classes (meaning fewer hours worked) while still serving a fairly sizable clientele (150 to 200 students). As well, this business model requires less staff to run, at full capacity perhaps the owner, one part-time or full-time office staff member, and one part-time or full-time teaching assistant. And, it affords the school owner the luxury of being on the floor more, so they can keep their program quality high. The downside is that you will work your tail off for your first year or two in business, until you scale your business up enough to merit hiring that help. For most school owners, this is an even trade. Besides, regardless of the business model you choose, everyone has to pay their dues. Pros: Low overhead. High profit margins. Fewer hours worked once the school has been scaled up. Low financial risk. Requires less effort to fill classes, and less work and expense in marketing. Easier to keep program quality high. Cons: Lots of work to get off the ground. However, than can be said for any of these business models. Prepare to work hard for the first year or two until the business has been scaled up. That concludes this survey of the various business models a martial arts instructors might consider when starting a martial art school. As to what my recommendation might be, I think you already know what I would suggest. However, ultimately you must choose which business model suits your goals and desired lifestyle best. Whatever you choose, remember that all school owners have to start small. So, starting with the Small Dojo Big Profits approach is as good a place as any from which to launch your business.